New Delhi, April 6: In a shocking incident, the website of the Ministry of Defence was hacked on Friday evening. 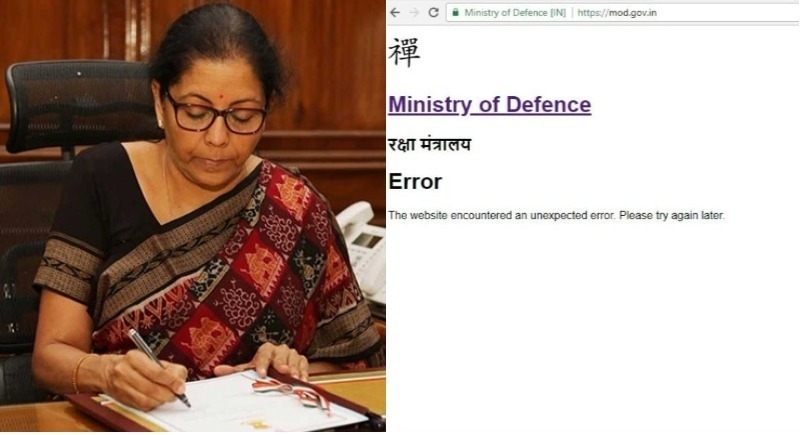 While opening the official website of Ministry of Defence, the message of error was flashed with the "Chinese character" on it. 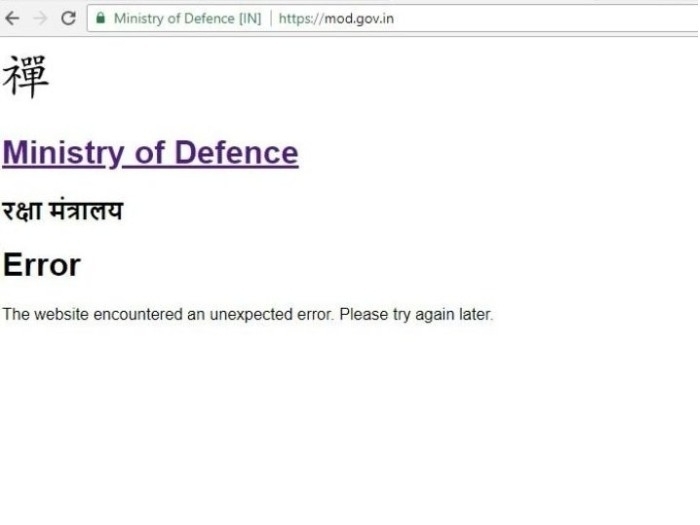 The official website of Ministry of Defence (http://mod.nic.in), the message was flashed on a home page saying, “The website encountered an unexpected error. Please try again later”. The site also displayed a Chinese' character, which purportedly means 'home'. On the other hand, it was noticed that the official site of Ministry of Home Affairs (https://mha.gov.in/) is also showing the error message. Upon visiting the site, the message “The requested service is temporarily unavailable. Sorry for Inconvenience.It would be available soon” is been showcased. Hours after the official website of Ministry of Defence and Ministry of Home Affairs showed technical error, National Informatics Centre (NIC) which manages all the government sites released a statement via Twitter. It claimed that official website of Ministry of Defence was not hacked and there was some technical issue since 2:30PM today. This is not the first time when the official website of Indian government has been hacked. A month before the MHA website was taken offline. In 2016, the websites and databases of seven Indian missions in Europe and Africa were reportedly hacked and data from their servers were dumped online.